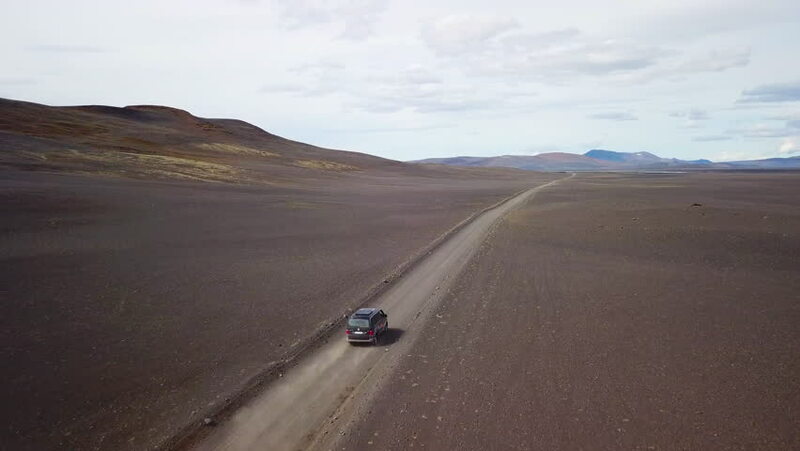 4k00:19ICELAND - CIRCA 2018 - Very good aerial of a black van traveling on a dirt road across the highland interior of Iceland. 4k00:074k aerial footage of a car chase near a river canal. hd00:50Nature Mountains Hills. A jib shot showing the mountain and hills inside the canyon.